Well-known Korean filmmaker Yoo Ha praised the looks of leading actors of his film “Gangnam 1970” -- Lee Min ho, Kim Lae-won and Seolhyun -- at an online live talk hosted by Naver on Wednesday. “Lee Min-ho, Kim Rae-won and Seolhyun’s pure faces are just like food free of chemical additives.” Yoo said. 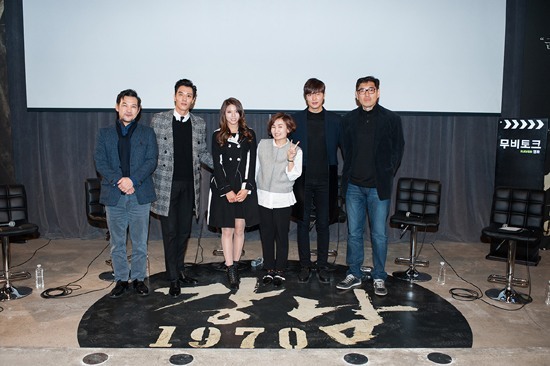 “Gangnam 1970” will be released nationwide on Jan. 21.